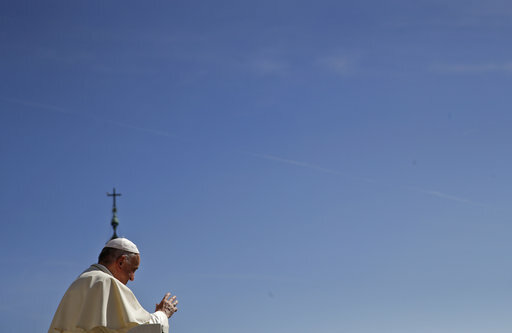 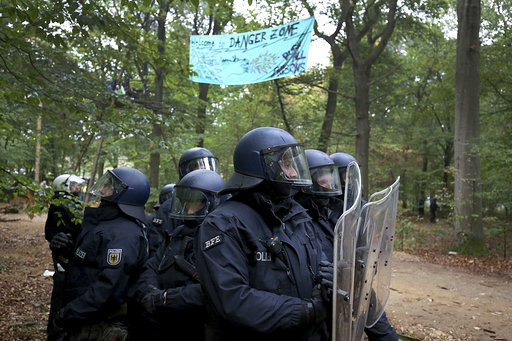 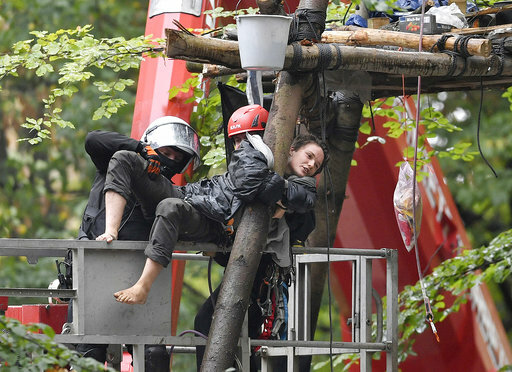 KERPEN, Germany (AP) — German police forcibly removed protesters from tree houses Thursday as they sought to free the way for parts of an ancient forest to be cleared next month for new coal strip mining. 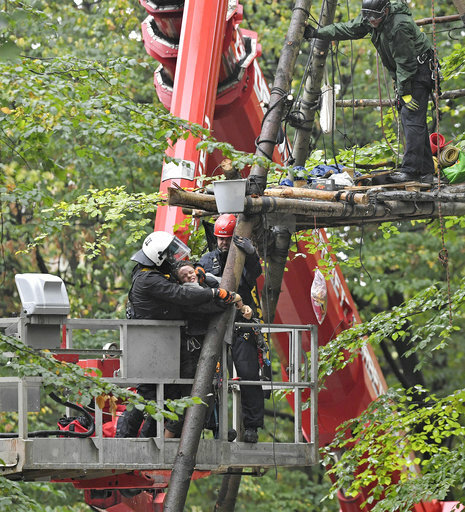 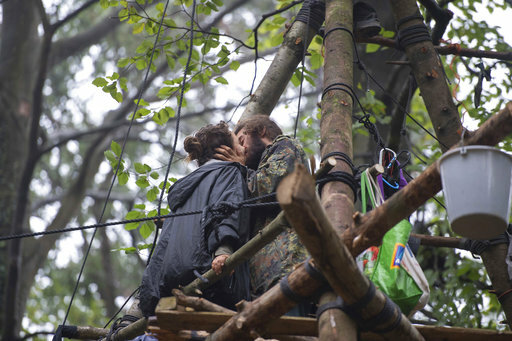 Police were hoisted on platforms by cranes to the up-to 25-meter (80-foot) high tree houses constructed on wooden tripods in the forest's canopy. 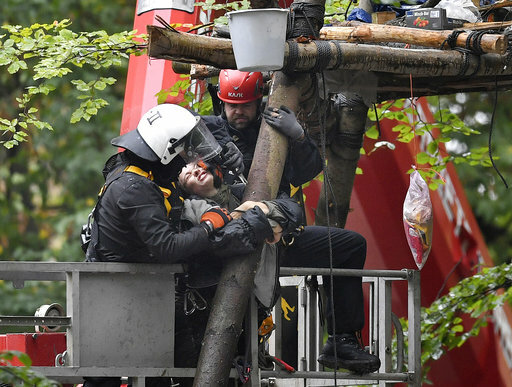 In one case a protester was guided by police off the treehouse onto a platform that had been hoisted up to the same level by a crane, then lowered to the forest floor. 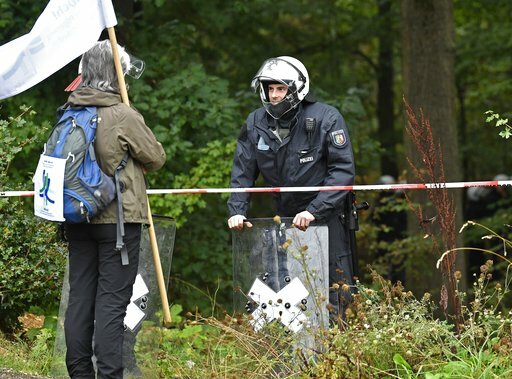 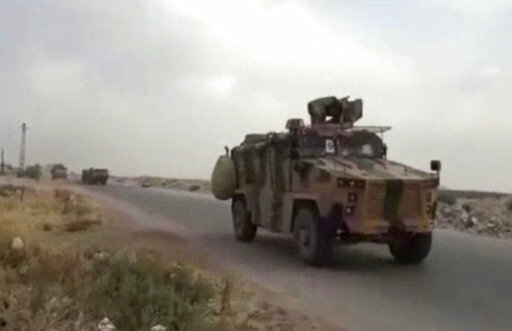 Hundreds of police and water cannon trucks were on hand for the operation that began in the morning in the 12,000-year-old forest near the town of Kerpen, southwest of Cologne. 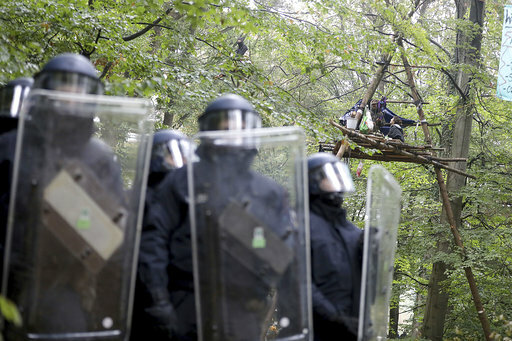 Using megaphones, police warned the protesters they had to remove their tree homes or face being removed. 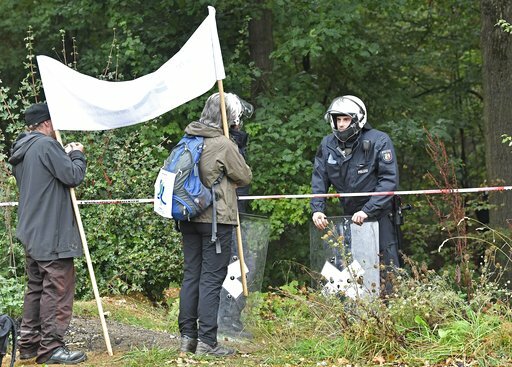 Activists rejected as "ridiculous" local authorities' contention that the homes constituted a fire hazard. 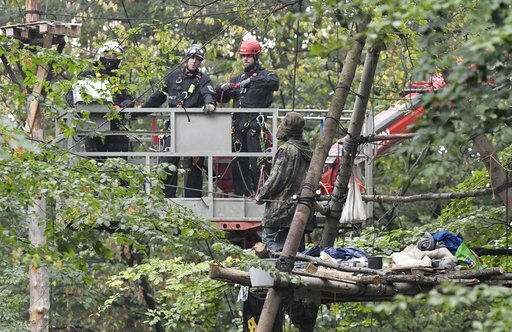 "The destruction of the Hambach forest is intolerable," activist Jan Puetz told the dpa news agency, saying they planned "actions of mass civil disobedience." 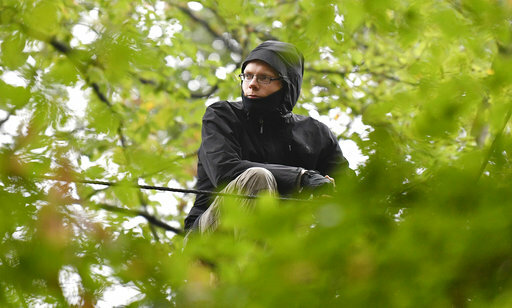 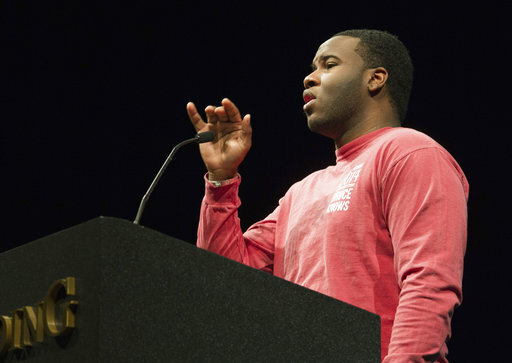 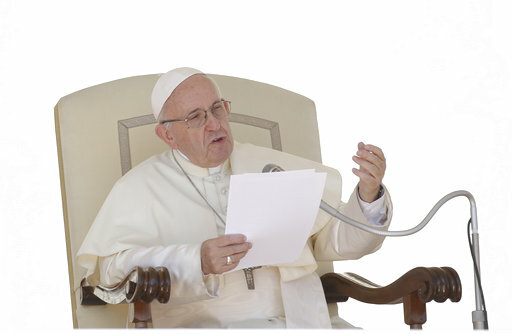 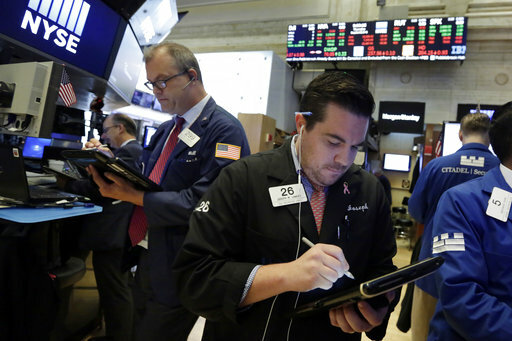 "Through this form of protest we are taking our future into our own hands," he said. 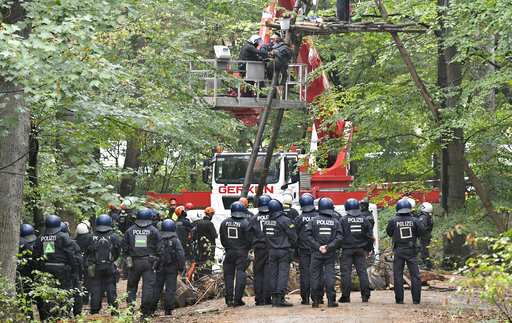 By Thursday evening, two activists had been removed from the trees and four makeshift houses had been cleared and destroyed, dpa reported. 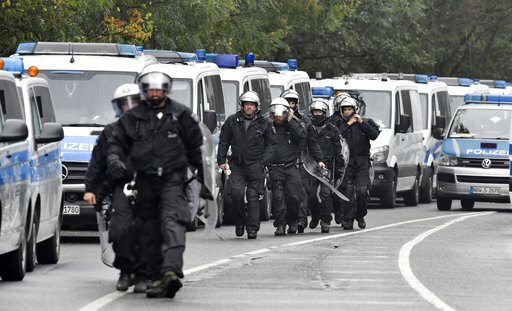 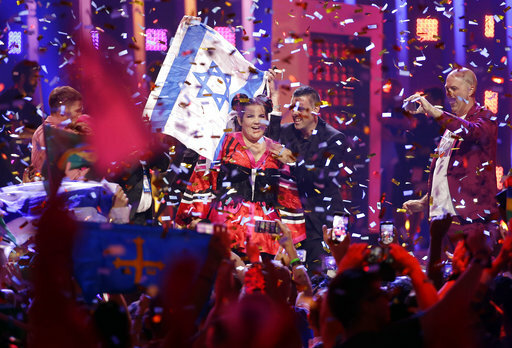 Police reported that one officer was slightly injured in skirmishes with activists who threw Molotov cocktails and stones. 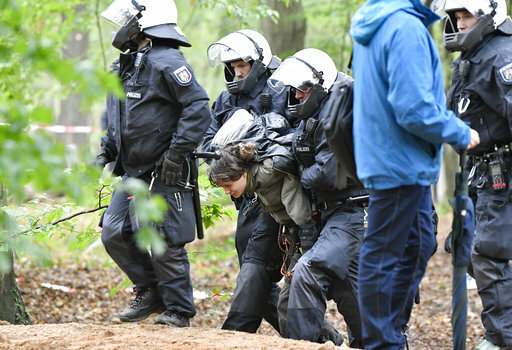 Several supporters blocked roads leading to the forest and one police car was damaged during the protests, dpa reported. 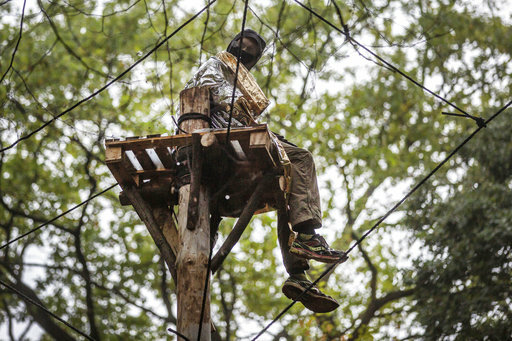 Power company RWE wants to start cutting down half the forest next month to expand a lignite strip mine. 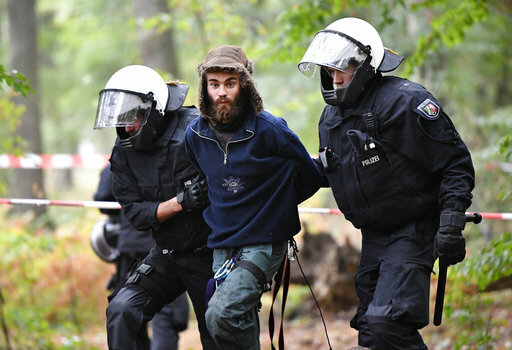 The plans have enraged environmentalists, who want Germany to stop extracting and burning coal. 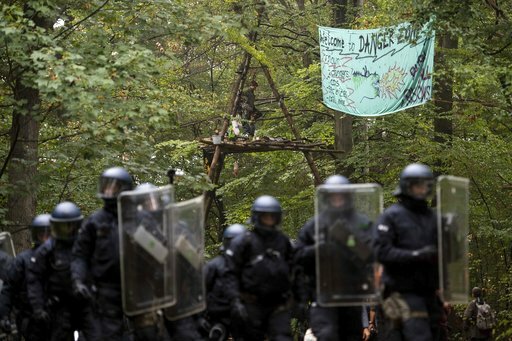 Some have been camping in the forest for years in protest. 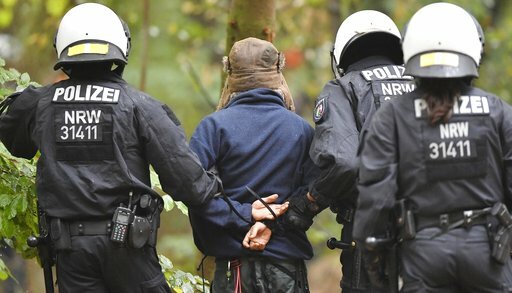 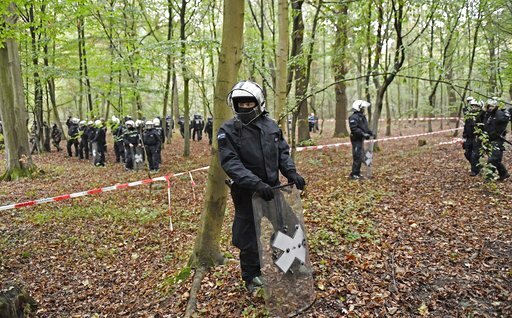 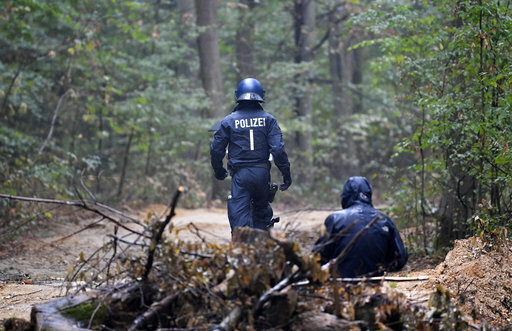 Last week, hundreds of police entered the forest to protect workers from RWE who had been sent in to remove obstacles from the floor of the forest, and to search for dangerous objects or potential barricades. 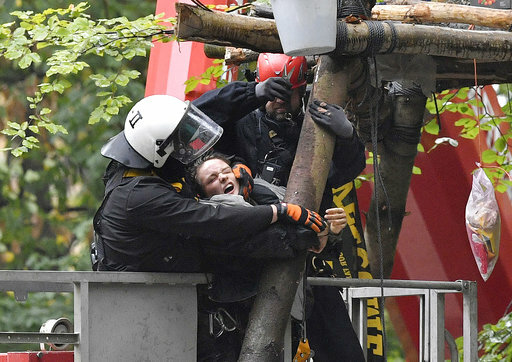 Greenpeace spokeswoman Gesche Juergens appealed to Chancellor Angela Merkel to step in, saying expanding the coal mine was counter to her plans to reduce the country's reliance on fossil fuels, and that the removal of the protesters could jeopardize talks between the government, environmental groups and others. 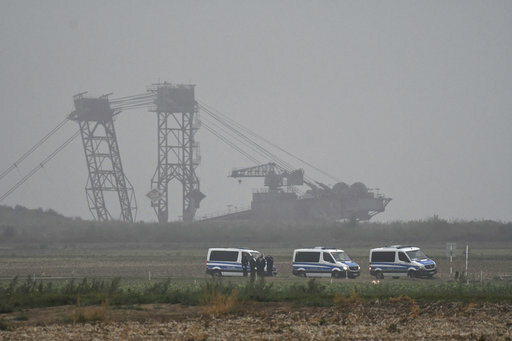 "Merkel must not allow a possible compromise in the coal question to be hindered by further escalation," Juergens said. 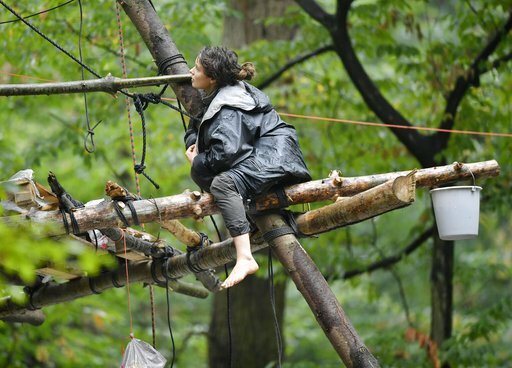 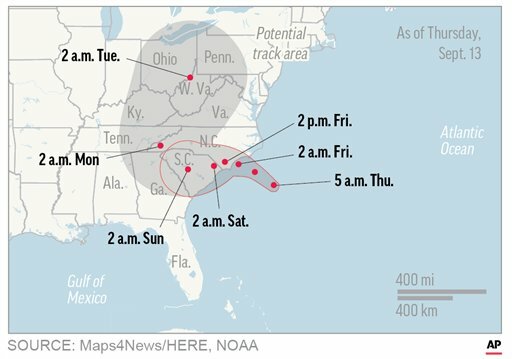 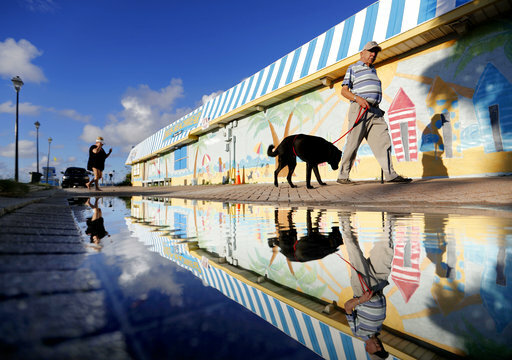 Authorities said the removal of all the tree houses would likely take several days. 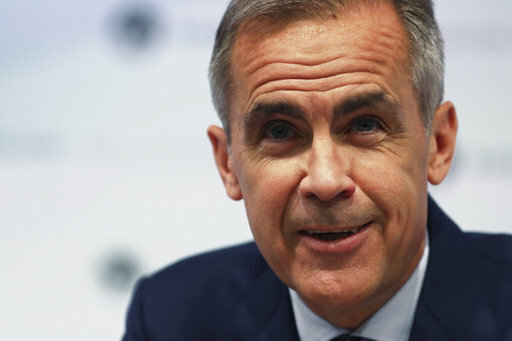 This story has been corrected to make Juergens' quote read "not" rather than "now." 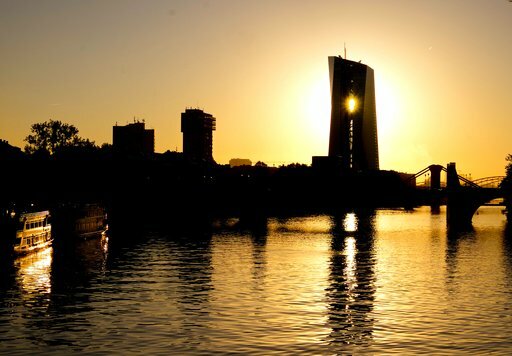 Raikkonen says of leaving Ferrari: "It's not my decision"
The Bank of England has kept its main interest rate on hold at 0.75 percent as policymakers await developments in Britain's looming exit from the European Union. 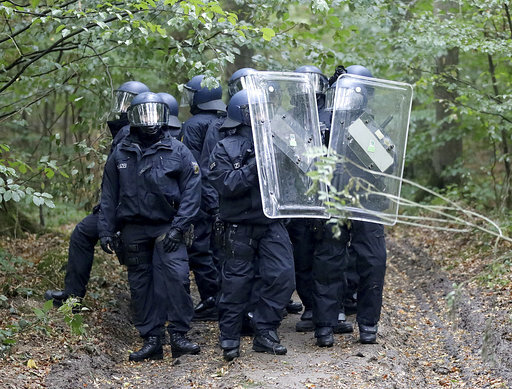 Democratic Gov. 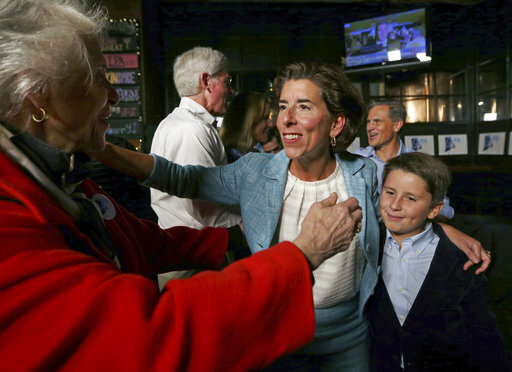 Gina Raimondo of Rhode Island, who made a case for a second term by highlighting the state's improving economic fortunes, survived a grassroots challenge from the left to win her party's nomination for re-election.